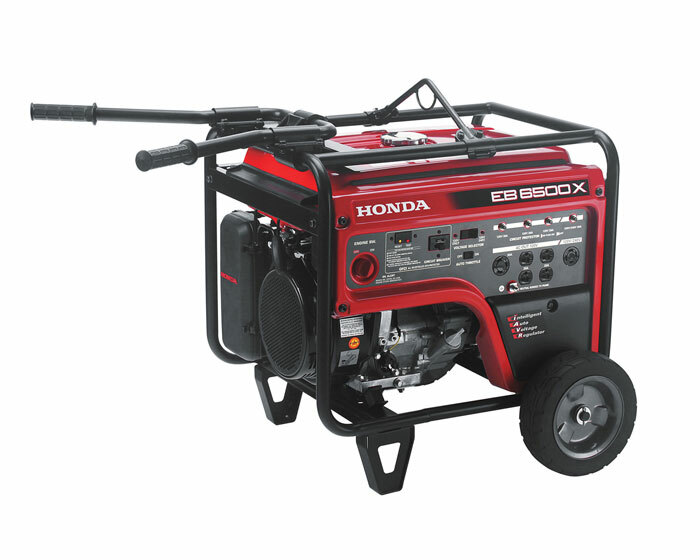 Honda Generator EB6500X provides rugged, reliable power that’s perfect for construction and rental industries. Equipped with a commercial-grade iGX engine, this industrial generator delivers 6,500 watts of consistent iAVR power and up to 10 seconds of 7,000-watt power for starting larger equipment. A three-year warranty also keeps the EB6500X up and running, further demonstrating why construction and industrial professionals rate Honda as the number-one generator manufacturer year after year. * Great for powering air compressors, bench grinders, circular saws, concrete vibrators, drills, pressure washers, industrial motors, etc.